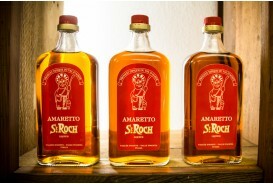 The St. Roch Distillery is one of most ancient distillery of the Aosta Valley, and in the last years has been able to glorify the product of its history and at the same time crate new masterpieces. 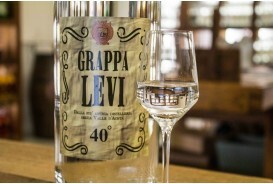 The story of the most famous grappa in the Valle d'Aosta is deeply linked with the story of the Levi family. 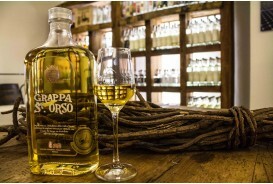 At the end of the 1900s Guglielmo and Angelo Levi, descendants of a lineage of famous grapats of Campodolcino, founded a distillery in Aosta named after them, the oldest in the Valley. But who were the grapat? They were humble but skilled craftsmen specialists of distillation who, in winter, came down from the mountains to select the best pomace. Their work was complicated and laborious: they used to go from village to village to carefully select the vineyards, look over the lands to check their exposure and test the colour, the aroma and the quality of the grapes. 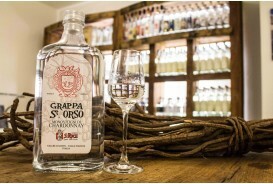 Only an excellent grape would produce a valuable pomace and hence a valuable grappa, with an intense and decisive aroma. 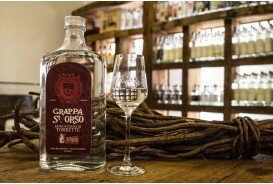 Once settled in Aosta, Guglielmo produced a unique grappa: the grappa Sant'Orso. 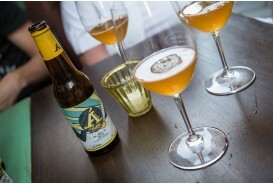 Sant'Orso as the most celebrated saint of the region, but also as the name of the ancient village in the centre of Aosta, where his distillery stood. 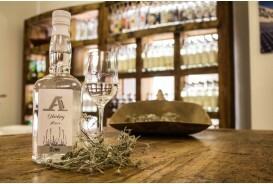 The years passed by and in 1968, Natalina Levi, Guglielmo's youngest daughter, together with her husband, established the Saint-Roch Distilleries. 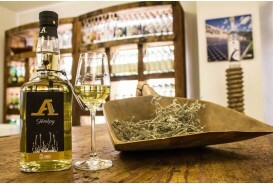 The company, enlarged, moved to Quart, on the outskirts of Aosta: the medieval walls of the old distillery leaved their place to modernity and technology, which continue to give birth to the traditional flavours of Aosta Valley liqueurs. A decades-long story, hundreds of products for all tastes, with one single but important "fil rouge": tradition and quality.